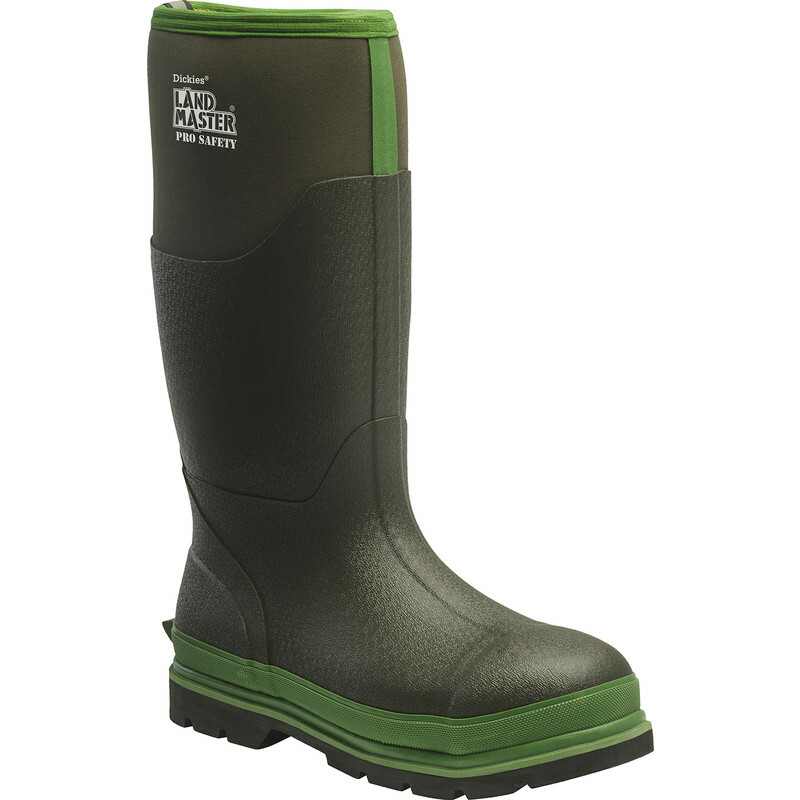 Dickies Landmaster Pro Safety Wellington Boots Size 9 is rated 5.0 out of 5 by 1. Rated 5 out of 5 by Johnthelog from Simple Solid Workboots Time will tell if these boots are worth the slightly high price. I've bought lots of wellington style workboots which have worn out from the inside, the heel is the main area that goes first especially if your a driver and using the clutch.